Do you see successful small business owners and wish sometimes you could do the same? Do you have a passion that you have thought about turning into profit? Join the 3.9 million other small businesses in California that are turning dreams into reality. This workshop is the perfect starting point to build the knowledge you need to succeed. This engaging and informative workshop provides you with start-up guidance, and a general overview of elements to consider when starting and owning a business. Whether your idea is a food truck, Etsy store, or a brick and mortar, West Business Development Center and instructor Steve O’Mara can get you started now. You have seen those entrepreneurs succeed in following their passions. Now it’s time to join them. To become a West Business Development Center Client go to www.westcenter.org, click "Get Started", and an adviser will contact you to schedule a meeting. In the past five years, the Food Trucks industry has grown by 6.8% to reach revenue of $1bn in 2019 with the number of Food Truck businesses growing by 13.0%. Join the Food Truck revolution by opening your own Food Truck today. This workshop will teach you the basics of planning and operating an off-site catering and mobile food business. Sign up to start building your dream today. Nicholas Petti is a well-known restaurateur in Fort Bragg and head of instruction at Mendocino Community College’s Culinary Arts Management Program. He is a leader in the culinary community winning acclaims and awards for his crab cakes every year in the Mendocino Crab and Wine Days, and countless community “Farm to Table” fundraisers. As a culinary arts instructor he introduces his students to traditional foods from around the world while introducing the most modern techniques and artfully created approaches. Read more about this workshop on our blog. *Please note we ask all workshop attendees to be in the classroom at their seats 10-15 minutes prior to class. Nine out of ten U.S. consumers say they would pay more to ensure a superior customer experience. So, what does it take to make a great customer service experience? Learn from hospitality expert Julia Siderakis easy tactics to incorporate into your business today. You will learn how to take the basics of great customer service and deliver it with modern trends to ensure your business is memorable so customers keep coming back! Julia Siderakis has owned and operated culinary establishments for 35 years. Recently retired from restaurant ownership after 27 years, Julia now has joined the West Business Development Center team as restaurant advisor. She is an instructor with Mendocino Community College in the Culinary Arts Management Program and the Business Information Worker Program covering all aspects of customer relations and management. *Please note: We ask all workshop attendees arrive 10-15 minutes early to class for sign in and networking. Class starts promptly at 12 pm. Whether you are selling products and services, your net profit is largely dependent on your pricing strategy. If you’re only using competitor prices to set your own or storing receipts for your business costs in a box it’s the time to freshen your cost structure skills! Designed for those who have little or no business experience, this workshop will take you through the process of creating a cost and price structure that will allow your business to stay current with the marketplace. Get started making your business more profitable by signing up for this workshop! Class requirement bring laptop with excel software. Instructor: Steve Lamb has worked with West Business Development Center clients since 2012. Steve brings over 20 years of experience in management and operations in the telecommunications industry and has owned his own company, the Interview Team. Steve’s particular areas of expertise include strategic and tactical planning, budgeting and financial analysis, project development and creating and maintaining positive relationships with governmental and regulatory agencies. Instagram for your business… understanding the platform, the possibilities and improving use. Engage with customers and other businesses on Instagram with confidence. Learn simple techniques for improving your digital photos and video. Have you looked at your Instagram account lately? Do you have a business Instagram account yet? Could your photos could be better or more engaging? If you are feeling unsure how to create an interesting and inviting Instagram account for your business then register for this new workshop! All you need is a device with Instagram downloaded and be ready to start a publishing memorable content for your business. This workshop is perfect for beginning and advanced social media users for their business. It will refine your skills and help you create engaging content. With the assistance of expert instructor and photographer Baqi Kopleman, you will be guided through various functions of the app and build an understanding of what, when, and why to publish on Instagram. There are over 25 million active businesses using Instagram to market and connect with customers today. If you are looking to increase awareness for your business or create new networks then you will not want to miss out on this workshop. Make sure to sign up today to save your seat! Instructor: Baqi Kopelman has a wide and varied background in marketing and advertising. He has created, produced, scripted and directed over 800 unique, professional commercials for national campaigns for healthcare and business marketing companies. Baqi produces high level photography for companies and individuals through his own photography business based on the Mendocino Coast. Long before anyone sets foot in your business they’ll visit your website – it is your brand to most people. As the internet continues to become the main tool for trip planning and purchases, the importance in hospitality of a strong website and web presence continues to grow. Yet many hospitality websites are outdated, cumbersome, or disconnected from the property they represent.It is more critical than ever to create a seamless experience for virtual visitors – both on traditional desktops/laptops and on mobile devices – and to ensure you are putting your best foot forward. We will discuss fundamentals, and then take a deep dive into participant websites to see what works and what doesn’t – and use that as a jumping off point to discussing how sites can be improved. • Why is a great website so important? • How are changing demographics affecting usage habits? • What is mobile responsiveness, and why is it important? • What are some free/affordable platforms? • What role does social media play? • Where do you start if you know your website needs to improve? Sign up today for this exciting and informative workshop. Limited seating available. Instructor: Brendan McGuigan is a marketing consultant who has worked with businesses on web strategy for 23 years and social media marketing for 10 years. He works with mid- to large-sized hospitality businesses in Mendocino County, Sonoma County, Napa County, and San Francisco. His focus is on discovering not just best practices, but uncovering ‘what works for you’ – with the belief that the best marketing plan is the one you are able to commit to in the long term, not just for the next month or two. At West Business Development Center we know that starting and running your own business is not an easy task. It takes resilience, flexibility, perseverance, and education. Yet for most entrepreneurs, running their own business provides them with the independent ability to put their ideas into action, experience the freedom to choose their own path, and to build community and sustainability. This engaging and informative workshop provides you with start-up guidance, and a general overview of elements to consider when starting and owning a business. To become a West Business Development Center Client go to "Get Started", and an adviser will contact you to schedule a meeting. Does your business’s social media need a little dusting off, or perhaps you are unsure how to get started promoting your business through social media? Learn how to make social media work for you, and how to develop a content calendar that will keep you on track and constantly growing your digital presence. Join us with social media expert Brendan McGuigan for a walkthrough of best practices, case studies, and platform-specific strategies. The focus will be on building a toolkit and plan that works for you and your business, to ensure you are able to stick with it and to deliver measurable results in both the near- and long-term. By the end of the workshop you will have a clear understanding of the different social platforms, what is needed to actively engage potential customers, and strategies you can use to deliver results. • How can social media increase your occupancy and improve your bottom line? Do you have questions about how to achieve financial success for your business? Are you managing your business’s financials and feeling overwhelmed? Starting a business and not sure how to keep track of the money? Designed for small business owners who have had very little to no formal financial business education, this hands on two-part workshop will help you to develop a financial acumen, and will educate you on systems for your 4 key financial reports: income statement, balance sheet, financial forecast (budget) and cash planning. Using instructor provided worksheets, you will begin to build out your systems and leave with clear next steps to complete them. Through the provided tools and instruction during Part 1 and Part 2, you will learn how to build, read and use information provided by the reports for the betterment of their business decisions. Sign up today for this Two-Part workshop before space runs out! Don’t miss out on generating more revenue, get your products and services online, now. Join us with eCommerce expert, Veronika Monell, owner of JumpStartNOW, showing you the power of eCommerce. Her superpower is strategizing with business owners. She will share her expertise to identify opportunities and help you learn how to sell and market your products online in today’s fast-paced digital world. Veronika Monell is the owner of JumpStartNOW, a local Sacramento consulting and online marketing agency. She has helped hundreds of businesses navigate the ever changing marketing and business dynamics of today’s fast-paced world. She strategically put the pieces for her clients’ businesses together to create a clear picture. Veronika helps her clients get to the first or the next million. She serves as chair of this year’s Sacramento Metro Chamber Ambassador Committee and was awarded the Ambassador of the Year 2017. JumpStartNOW has been recognized as a small business with inclusive employment practices for people with disabilities by the Northern California Business Advisory Council. 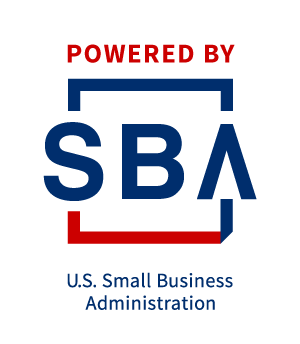 Attend this very timely and important workshop designed to protect local small business owners to ensure the correct and compliant worker classification. This workshop will provide the very necessary information on classification of your workers as employees vs independent contractors. Like most small business owners, you probably aren't too confident that you're correctly classifying workers as independent contractors versus employees. But misclassifying your workers can result in serious fines and penalties that will significantly hurt your business - at both the federal and state level, a small business owner can be required to pay years in back taxes, pay back wages, retroactive insurance premiums, many other penalties as well as there being the real risk of potential lawsuits. The bottom line is that to protect yourself as an employer you must take this issue seriously and understand the correct way to classify your workers. Lisa McCormack has spent over thirty years as an HR practitioner and leader. Much of her experience has been in high technology, working with small companies undergoing rapid growth and change. Lisa has worked with highly successful companies and numerous venture-backed start-ups, resulting in her pragmatic approach to problem-solving and conflict resolution, which produces practical solutions and effective results. Lisa lives and works on the Mendocino coast and owns Affogato Human Resources, an HR consulting firm based out of San Jose, CA. Do you have a game plan ready to make 2019 your most successful year? Join West Business Development Center for this annual planning workshop and learn how to plan for the success of your small business in 2019! In this hands-on workshop each participant is provided with an annual plan workbook. Working together the participants and facilitator will review the current condition of the business and use the tool to develop a specific business strategy for the new year. Participants will learn how the annual plan will evolve and adapt through the upcoming year as the business grows. Rachel Clark is the owner of Synergy Business Coaching. Rachel has been a business coach for 14 years, focusing on the development, training and education in the seven distinct areas of the business model. She works with small businesses that are struggling to grow and develop into mature operations. California's minimum wage law increases each year until it reaches $15 per hour in 2024. The annual increase in minimum wage needs to be the catalyst for you to take a hard look at your business model. When minimum wage increases, the price of doing business increases in every area. As a small business owner you should be doing a quarterly review of your pricing structure and focusing on a few increases within the year instead of waiting too long and getting hit with larger price increases that will massively impact your bottom line and operating budget. All California small businesses will feel the impact from these wage increases; from price increases from their vendors, rising insurance costs, and the general cost of doing business in the State. Attend this workshop to be informed and prepared to deal with these changes, determine strategy and feasibility options for your business by making smarter and more strategic decisions based on increasing efficiency and productivity. Small business owners need to strategize by providing better employee training and retention to streamline your workforce and keep those great employees that make your business great. The workshop is offered by the West Business Development Center in partnership with the Greater Ukiah Chamber of Commerce. INSTRUCTOR: Steve Lamb has worked with West Business Development Center clients since 2012. Steve brings over 20 years of experience in management and operations in the telecommunications industry and has owned his own company, the Interview Team. Steve’s particular areas of expertise include strategic and tactical planning, budgeting and financial analysis, project development and management. Steve says that one of his favorite things about working with West Company clients is “suggesting clients look at a particular issue from a perspective which is different from any they previously considered. This is the advantage of the clarity and non-emotional analysis of being on the outside looking in. As a small business owner, it’s hard to know with certainty all of the Human Resources regulations that exist and which ones apply to your company, and even more, how to comply with them! At this great new Human Resources workshop for small business, you will learn the best practices in job descriptions, employee handbooks, pay classifications, and understand the compliance requirements and all the necessary employment paperwork, from new hire to termination. After attending this workshop you will understand the record-keeping requirements that you must comply with as a small business owner as well as the areas of compliance you must maintain and how to do so to best protect your business and your employees. You'll learn how to navigate through sticky employee / employer situations; performance issues, leaves of absence, how to help employees transition out of your organization, how to handle compensation, references, unemployment, workplace injuries and much, much more. If you're like most small business owners, there isn't room in your budget to hire a human resources person, much less a consultant. This workshop outlines the basic compliance issues that small businesses need to know today to continue operating without fear of non-compliance, bad morale, fines, or even costly lawsuits. Marketing Matters! The success of a small business depends on the business owner’s abilitiy to market their products and services effectively. You may have a great product and amazing service, but if people don’t know your business exists, you are not going to have any sales. Successful marketing keeps your small business afloat. In a marketplace is dominated by smart phones, digital platforms social media, and analytics, small business owners must stay competitive to survive. By learning and implementing all available no cost and low cost marketing tools, methods and techniques, you will grow your business. Baqi Kopelman has a wide and varied background in marketing and advertising. He has created, produced, scripted and directed over 800 unique medical, real estate and other professional commercials for national campaigns for healthcare and business marketing companies. These commercials feature the individual doctors as the star of each 30 second spot. Additionally, Baqi produces high level photography for companies and individuals through his own photography business. Owning your own business, or building one from the ground up takes resources, knowledge, a little luck and a lot of hard work. Fortunately there are resources in your community that can help you every step of the way.